When recording footage, your security cameras might not always get optimal lighting. That is why it is important to use low light security cameras that can capture footage in the dark. Many of these cameras can adjust automatically based on the lighting. Check out our selection of low light cameras. Security cameras are a very important component of a security setup. They are the only device that will provide you with clear presentable evidence of what exactly took place while you were away from your home or business. The most common application of security cameras is to use them to check for criminal activity. However, many of our customers also use cameras to check on their children after they get home from school and to make sure that their employees are doing their jobs correctly. But no matter how you use your security camera, it will always provide you with the full and complete story of what goes on when you aren’t there to see it for yourself. But if you intend to use your security camera outside at night or in a building where the lights might not always be on, then you will definitely want to consider using a low light security camera. This type of security camera uses special infrared (IR) lights to illuminate recordings that would otherwise be too dark to be of any real use. Most security cameras can adjust these IR lights based on the current situation. For example, if the area is only a little dark, then a small amount of lighting will be applied. But if the area is pitch black, then the IR light will go on max. When purchasing a low light security camera, you should make sure to check the specifications for the device. For instance, some cameras feature stronger IR lights than others. The stronger the light, the further the area in the recording that it will be able to illuminate. If you are using the camera in a larger area, then you will most likely need it to have a stronger IR light. But if the area is smaller, then a standard IR light will most likely suffice. Other important specifications to look for are the recording quality of the camera, whether it can be used outdoors, and the types of alarm systems it can interface with. If you ever need any help choosing a security camera, you can contact our trained support team online or over the phone for further assistance. 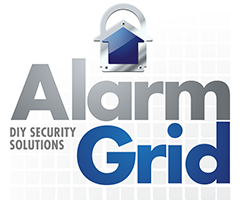 In order to use a security camera, you will need to have an alarm monitoring plan that includes video surveillance. This feature is included in our platinum level monitoring plans. Make sure to check out our monitoring page for more information. Most alarm panels do not allow you to view the live feed for the cameras from the system itself. Instead, most of our users make use of an interactive service platform such as Total Connect or Alarm.com to view their cameras. These services can also be used to change any of the settings and configurations for the cameras. Any recordings made by the cameras will be saved on these servers for several days. If the user wants to ever save any of these recordings, they can easily download them for permanent use. Depending on the type of camera you obtain, you may be able to have it perform a continuous 24 hour recording schedule. Other users set their cameras to only record during certain parts of the day or when certain events occur on the system, such as a motion sensor being activated. What Kind of Security Systems are Compatible w/ Total Connect?